All About Serving Arizona Process Server has an extensive list of legal services that we can provide as well as eviction process service. View our full list of process server services below to see how our professional and experienced staff can better serve you and all of your specific process service needs. At All About Serving, our experienced process servers adapt to different circumstances to serve your documents as efficiently as possible. When defendants are intentionally avoiding service, we use creativity to get the job done. All About Serving specializes in complicated cases and hard-to-serve individuals. 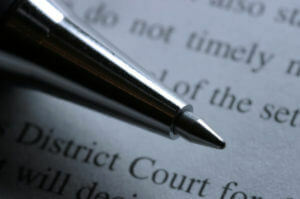 Our AZ court process servers are dependable, trustworthy and can serve any court documents in the state of Arizona. All About Serving offers the highest level of service in the industry, and we understand what it means to go the extra mile to serve papers. Rush Process service options are available. All About Serving Process Server accesses several nationwide databases to perform exhaustive research for our clients located within or outside of Arizona. Our locates are performed for the process service needs of our clients. With more than a decade of process serving and investigations experience, we will use all of our investigative techniques as needed. Our professional process servers will file your documents with the court, retrieve your documents from the court, or perform legal research at your request. Process Service to Arizona Registered Agents, CT Corp and CSC also known as Corporation Service Company. When it comes to service of process our process servers are some Arizona’s most knowledgeable and experienced servers in the process serving industry. We realize and understand the importance of getting it right whether serving your court papers to a business, corporation or LLC. It makes no difference to us because our process servers always abide by Arizona rules of Civil Procedures and understand the importance of serving the correct entity whether an Officer, Member or Manager at the correct location. All About Serving provides Motor Vehicle Division (MVD) and Postal Service searches to verify a name, address and phone number. If no information is obtained, there is no charge unless we notify you of extenuating circumstances. Most affidavits of service served by All About Serving are filed with the court and mailed or emailed to you as soon as possible. There is no charge unless we notify you of extenuating circumstances. There are times when your affidavit of service can delivered to you immediately after the service is completed. All About Serving understands that in Arizona evictions and foreclosures need to be handled expedient. Our professional Process Server staff can post or deliver your five day notices, serve your eviction papers and send a certified copy by mail immediately. Please feel free to drop off two copies of your small claims or eviction notice at one our convenient locations near you. Our Process Service fee for eviction notices start at $60 which is cheap to get rid of a bad tenant. We will file a copy of the Affidavit of service with the Court on your behalf, and provide you with a copy for your records. Our court process servers are here to serve your needs. Call us now and see why we have hundreds of satisfied customers. All About Serving offers extensive background checks for employers, tenant screening for landlords, and background information for potential new partners in business or personal relationships. All About Serving will provide answers to your questions using our experienced investigation tactics and state-of-the-art advanced technology. Our team is relentless in tracking down some of the most difficult defendants. We even found a missing plane, which led to a stake out and us eventually process serving a hard to serve individual. All About Serving can perform investigations for bankruptcy searches, assets, liens, judgments, criminal records, death records, missing persons, insurance investigation and surveillance. Call us to learn more about how this extensive service can meet your process service needs.